Great mexican food. Fast walk up service. Always fresh and made while you watch, exactly the way you want. Nice portions. You gotta go, enjoy. I tried the soaps dinner. It was very good. I had mine with chicken and veggie. The rice had great flavor and was not to dry. The salsa was a bit watery but other then that the reviews are pretty spot on. favorite place around, daily specials are great, try the Lomo Pork! Very fast service...takeout style but there is seating in the restaurant. Food is fresh and flavorful. Food is always fresh & delicious. Staff is friendly, Jackie is AWESOME! Great food, great prices, quick. Get in there before 11:30, or you're gonna be waiting in line. Best Mexican restaurant I been to. Delicious!! Some of the best Mexican food that's quick and not $$! Love the tacos! My son in law says it's the best he's ever had! Great food, speedy service, and custom options. If you want fresh, delicious ingredients and the option to pick and choose want you want on your meal this is a great place to go. There's a nice variety of meals to choose from and the decor is colorful and inviting. The staff is super friendly and will get your food to you quickly. Fast, fresh and delicious. Got the "Tuesday Special" and it was great. When I arrived I was unsure of what this place was. I walked in and was greeted by three friendly faces. I ordered the build a bowl: veggies and it was amazing!! If you're in the area and looking for something different, stop in and enjoy! We did!! Has an authentic feel to it. The wet burritos are amazing! Get the Pastor. It's amazing. Absolutely delicious everytime. Such a nice family too. 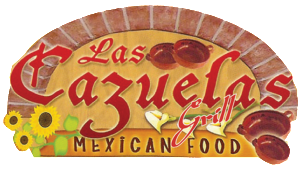 Very good Americanized Mexican food for takeout with small casual area. Fair prices for lunch. So glad we found this authentic Mexican food and they deliver... Been twice both times have been an awesome experience and DELICIOUS!! Cocina realmente mexicana con chile en salsa roja de tomatillo. De los pocos con buena salsa. Great staff and delicious food. I've ordered the chicken burrito, mexican pizza, and the chicken tamales and I have not been disappointed. I truly enjoy my Friday splurges here. Great Food,Great Prices, Fast service,Great atmosphere and all the lovely ladies are very friendly and greet you with a smile..
Produce is very fresh. Staff was wonderful. The food here is great. The friendliness is great as well. Love Mexican food and it's pretty clean,they are very friendly. Pastor (pork) burrito was INSANE. So much flavor. So delicious. Reasonably priced. Eat at this place. Great food, good prices and fast... Went there for lunch today and we were in and it in under half an hour. Best in the area by far. One of the much better Mexican restaurants around. It's quick and cheap, similar to subway. Really fresh food, and REALLY love their guac. Personally haven't found such great tasting guac anywhere else yet. Give it a try! Food tastes very authentic. Cafeteria style dining makes for quick service. Mom and pops type restaurant looks like it's run by hardworking friendly women, authentic mexican...delish everytime...keep up the good work,Melvindale Pride. Good food. I like it.